…Truth be told my morning routine starts as soon as I get home from work on an evening. Whilst my tea is cooking I prepare my breakfast and lunch for the next day and make sure that my lunch bag is ready to go the next day and then before bed I lay out my clothes for the next morning and pack my gym bag so that I am ready to roll. Failing to prepare is preparing to fail as the saying goes. 6am – On a weekday I set my alarm for 6am and I try my best to jump straight out of bed as snoozing makes me feel groggy! Before work I like to do either a short HIIT session or a hill climb session on the bike and a little abs to get the day started. I always feel better for doing something first thing and it’s nice to know that I have done something rather than nothing if the day doesn’t go to plan. 6.30am – Time to hit the bathroom and get myself looking glamorous again! I don’t go OTT during the week but I like to wear a full face regardless because it makes me feel that bit more confident. 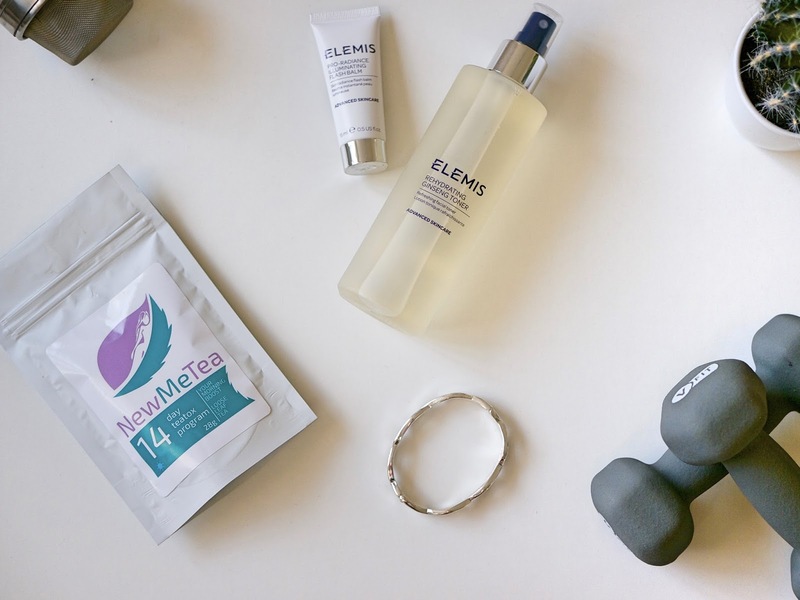 Part of my am routine everyday is to cleanse & moisturise (especially after working out) and at the moment I am loving the Elemis Re-hydrate advanced skincare range with Ginseng. Not only does it smell amazing and wake my skin up, it leaves it looking brighter too. 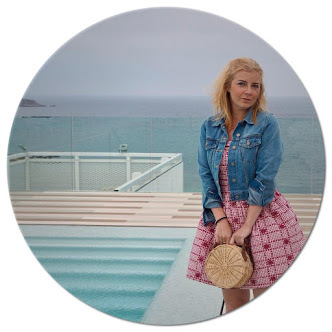 7.30am – After throwing on whatever outfit I have cobbled together for the day it is time to head to the kitchen and make myself a brew. I try to make myself drink a pint of water whilst I am getting ready to re-hydrate from my workout and follow this up with a fresh cup of tea when I get to work. At the minute I am loving the ‘NewMeTea’ detox programme. I don’t use this with the expectations of shedding numerous pounds over the two weeks but it helps me to feel a little bit slender, less bloated and more energetic. Taste wise NewMeTea is the nicest of the detox teas that I have tried and it definitely helps get rid of excess water weight and to cleanse. It takes a few minutes to brew and whilst the hot water and loose leaf tea infuse to work their magic I turn hunter gatherer and grab my lunch bag, popping in the last few bits I need for the day such as my protein powder for the gym and any snacks I have prepared. At the moment my favourite is a Flapjack recipe that I found on the lovely Carly Rowena‘s channel (I promise I do watch other YouTube channels but Carly’s is just always on my level). 7.45am – By now I have a freshly brewed cup of lemon loveliness (the little bits of Lemon in NewMeTea’s daytime tea makes it taste very refreshing after a good nights sleep) that is packed with goodness, a lunch bag that is always busting at the seems and it’s time to scavenge for the car key and hit the road. Luckily living in such a small town it doesn’t usually take long to get to work, about half an hour at the most and I always listen to RadioX on the way into the office to keep me entertained. Once I get to the office routine pretty much goes out of the window as control of my life is taken over by emails, phone calls and other work related activities. I try to have my breakfast fairly early on when I get in and always aim to drink a litre of water by lunchtime, it is so important to stay well hydrated in an office environment to stay fighting fit and alert. But that is pretty much it for my ‘Workday Morning Routine’ – what do you always make time for on a morning? If you want to try NewMeTea for yourself you can get 20% off by using the Harmony20 code at the checkout!